November 2, 2012 November 5, 2012 ~ M.
This is a picture of goals. Lots of them. 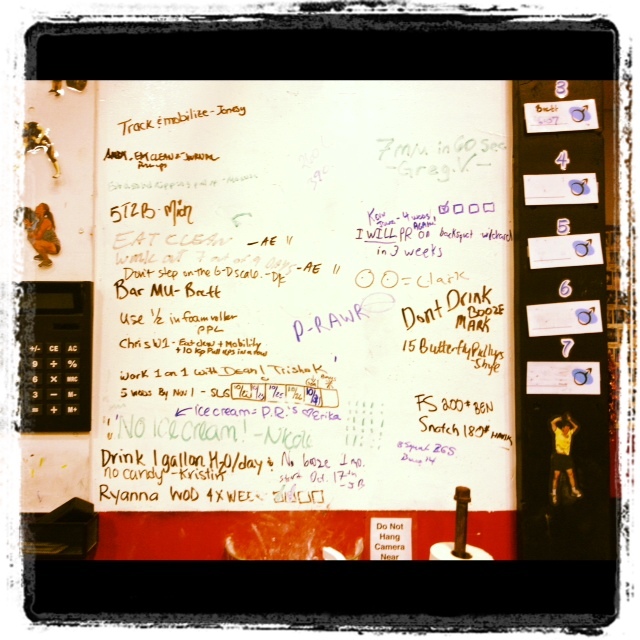 Scrawled on the white board at ACF pre-post-during WOD. Just because. Because we’re all working towards something. It’s a team effort. Yoke carry at 320lbs. New PR! Farmer’s Hold at 110lbs. per hand for time. 1:38 total. ‹ PreviousThe only way out is through.